Australian duo Ashleigh Barty and Casey Dellacqua have booked their place in the Australian Open women's doubles final. 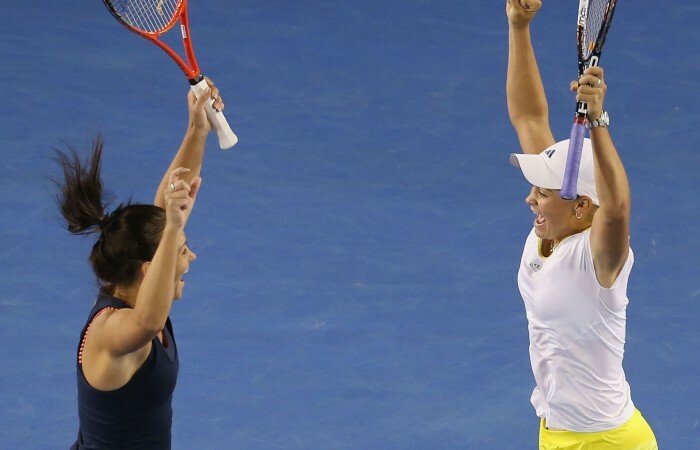 Ashleigh Barty and Casey Dellacqua have become the first all-Australian duo through to the Australian Open women’s doubles final since 1977. 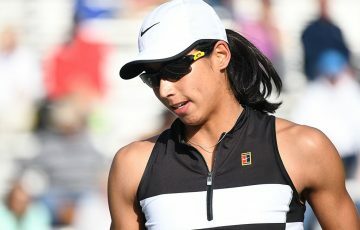 The unseeded pair made quick work of American Varvara Lepchenko and China’s Zheng Saisai to win their semifinal 6-2 6-4 in the early hours of Thursday. It booked them a place in Friday’s final against Italian top seeds Sara Errani and Roberta Vinci. Errani and Vinci won the French Open and US Open together last year and were the runners-up in last year’s Australian Open. “It feels awesome. It doesn’t feel real yet to me,” Dellacqua said of reaching the final. “It’s going to take a while for the adrenaline to settle down and to take it all in. “Luckily we have a day off tomorrow to prepare for the final because obviously we still have one more match to play and we’ve got to finish this tournament. Sixteen-year-old Barty said she didn’t expect to get to sleep in a hurry given the rush. “I’m so pumped. It’s great to have a reward like this. After having a good start to the summer, this is just icing on the cake,” she said. It will be the first Grand Slam final for the teenager. Dellacqua, 27, won the 2011 French Open mixed doubles title with American Scott Lipsky and made the 2008 French Open women’s doubles final with Italian Francesca Schiavone but said this experience was special. “I’m just so buzzed about this one, I think because it’s so unexpected,” she said. While Barty and Dellacqua have achieved nowhere near as much together as Errani and Vinci, they have won a doubles title together, at Toyota, Japan late last year.